Some images are very strong and may be shocking. 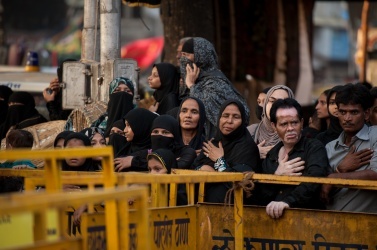 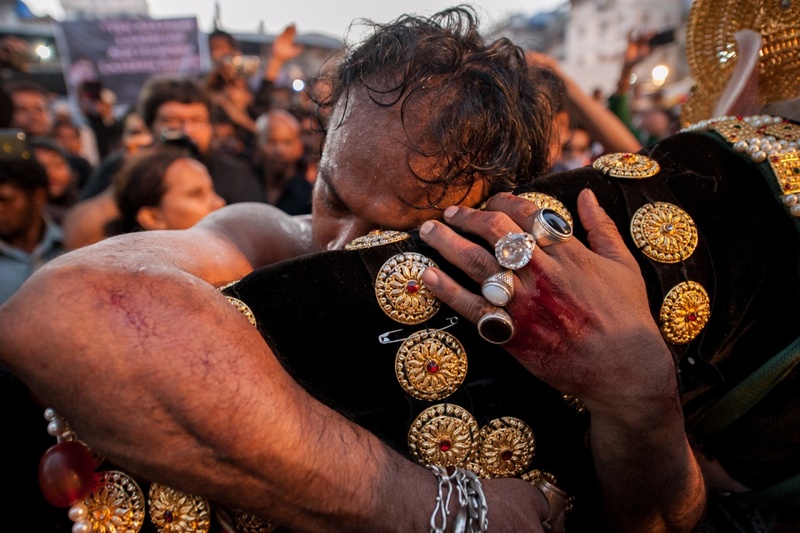 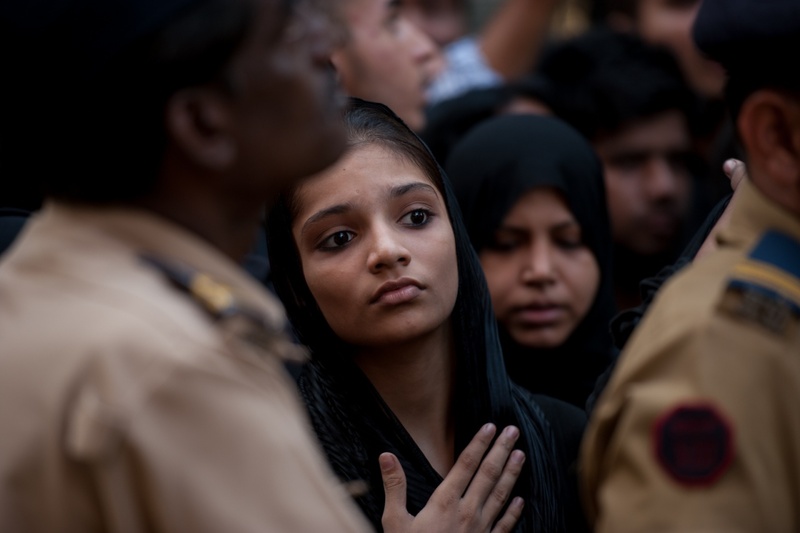 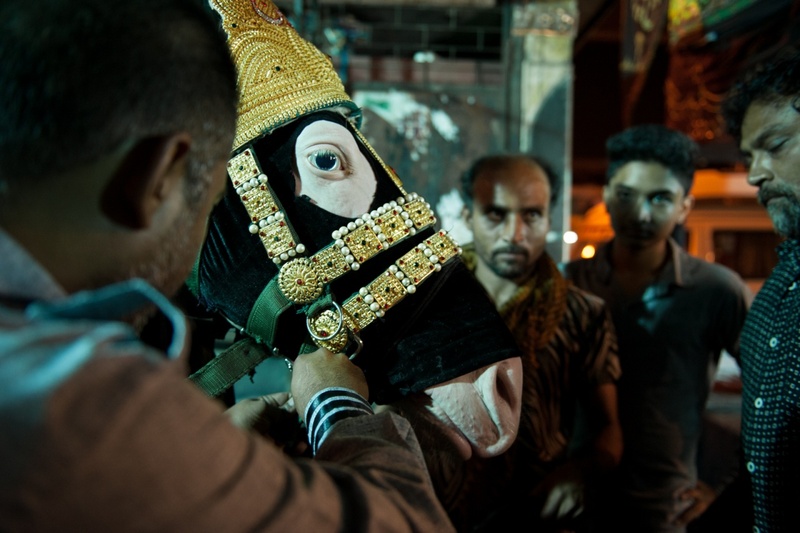 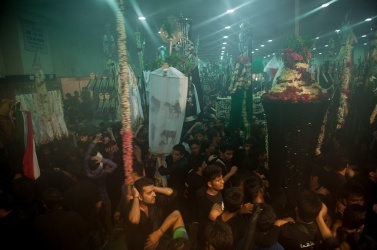 Every year the Muslim community celebrates the day of Ashura, a religious event that falls on the tenth day of the month holy muharram, the first month of the Islamic calendar. The event is celebrated in different parts of the world, and for different reasons, according to the hadìth, stories of the life of the prophet Muhammad, handed down orally by his companions. 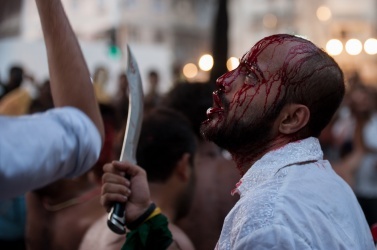 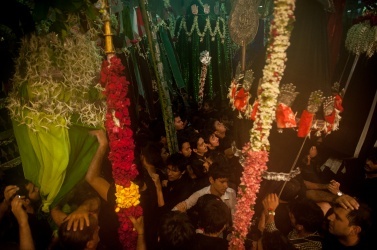 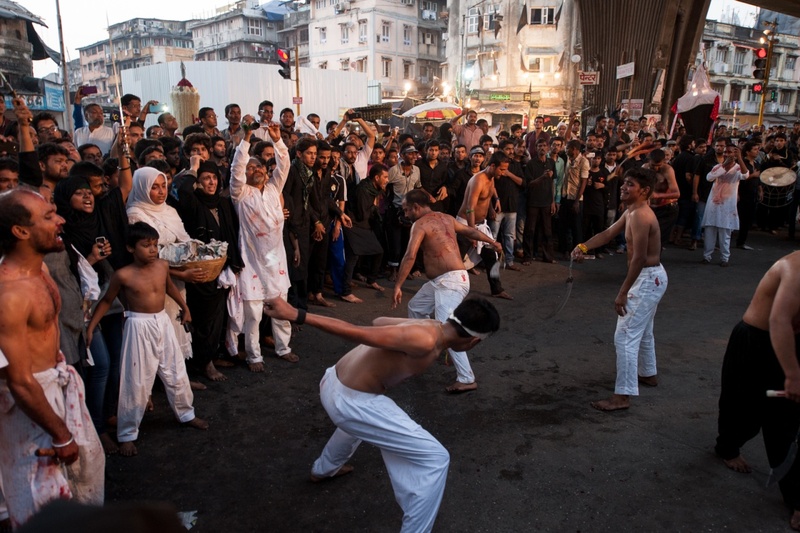 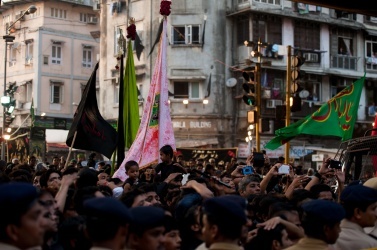 In the Shiite world, Ashura is considered the biggest event of the year. 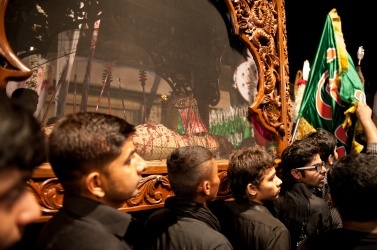 The day commemorates the death of the Shiite Imam Hussein, Mohammed's grandson, who was killed in battle by the army of the Sunni caliph of the time, in the Iraqi city of Kerbala, about 1,300 years ago. 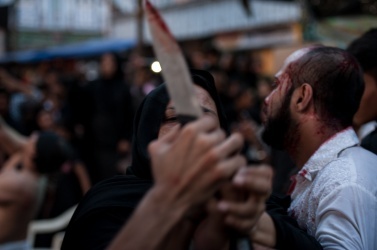 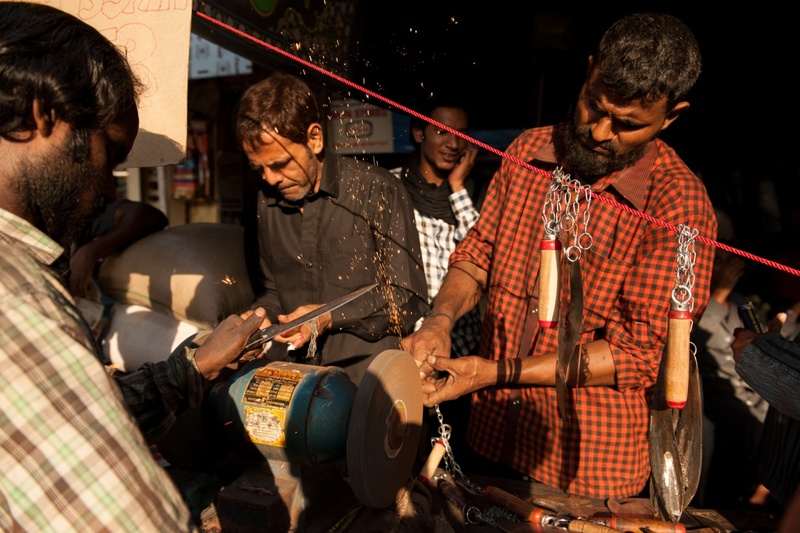 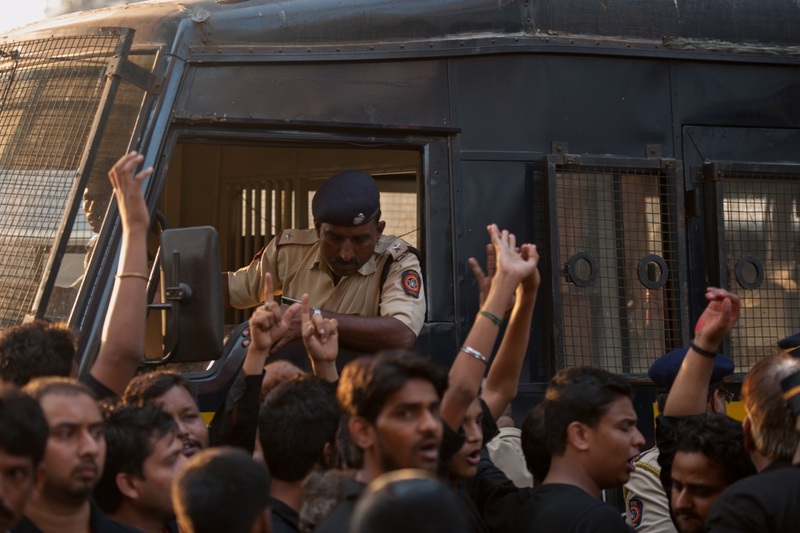 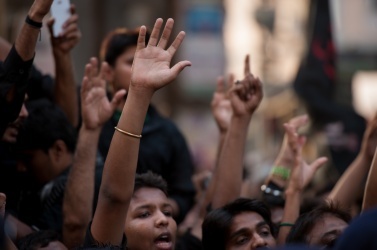 In memory of the killing of Hussein and of the torture inflicted on his family members after his death, Shiite Muslims self-flagging by clapping their hands or chest, but some of them do so even through the use of blades or chains . 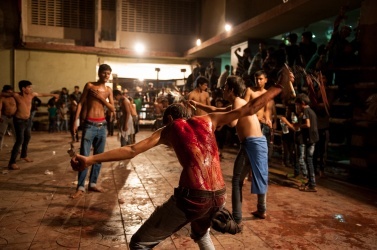 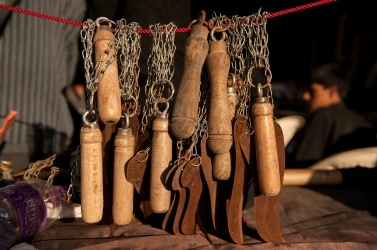 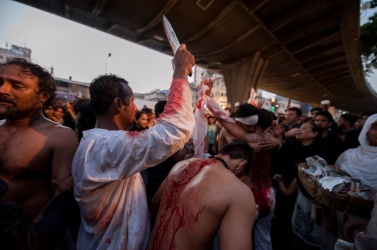 Self-flagellation is a traditional and non-mandatory practice. 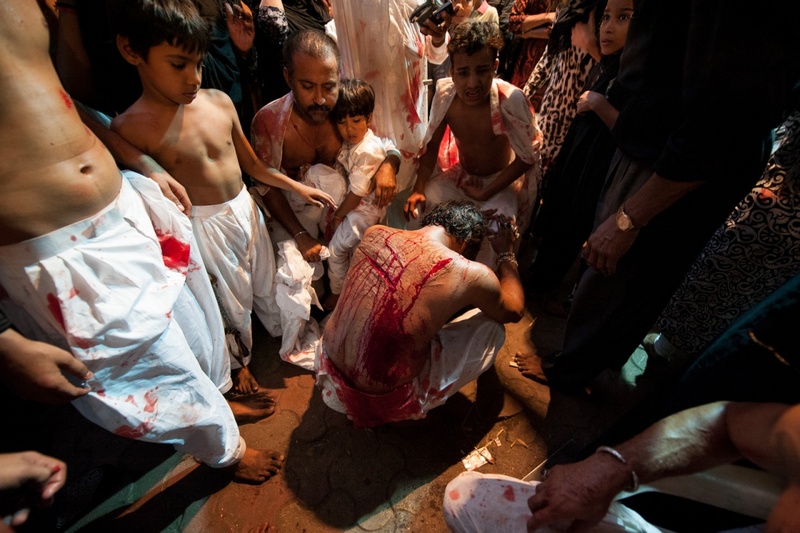 Only men are self-flagellated with chains.